Poll: Will More Walmarts Be Good For D.C? Walmart plans to build two more stores in D.C., bringing the total to six, reports The Washington Post. The latest announcement includes stores in Fort Totten in Northeast and one east of the Anacostia River in Skyland. The promise of new jobs and low prices has drawn support from D.C. officials and residents who say the new stores are a welcome boost to the local economy, particularly east of the river where unemployment is as high as 26 percent. (Two stores are planned for east of the river). Walmart’s D.C. stores will be smaller than their suburban, big box counterparts, and Walmart officials claim the six stores will generate 1,800 retail and 600 construction jobs. But there are Walmart’s critics, who say D.C. residents don’t need more low-wage jobs. Also, the company has a murky history when it comes to fair treatment of workers. Others fear the chain’s low prices will hurt the District’s small and locally-owned businesses. Much of the anxiety over Walmart coming to town centers around the company’s refusal to sign a community benefits agreement, which would hold the company to its promises over things such as wages. 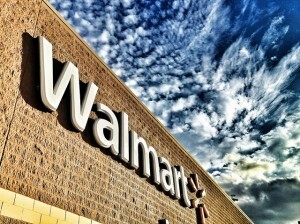 What do you think: Will Walmart be a benefit to D.C. residents? Take our poll below. You can even enter your own answer. Will more Walmarts be good for D.C? Aldi versus Walmart in D.C.
Capitol View location has no small biz to hurt. Other locations may. There should be a separate poll for each location. Economic situations are also different for each location. I chose to vote other because the choice isn’t jobs & low prices it is kickstarting community economic development. That is a challenging argument and, obviously, connection, for folks to make. I am afraid the drive for community economic development will be slowed because Wal-Mart’s messaging about jobs, low prices, and healthy food and ingratiating tactics have been so effective and politicians so desparate. In my opinion community economic development is diverse retail, improved tax base, a range of jobs leading to careers leading to a better quality of life.